‘Israeli leaders expect the US to be religiously inclusive, but then they refuse to practise the same at home,’ Hanna Swaid told Al Jazeera. As tens of thousands of Christian pilgrims converge on the Holy Land, this week, to celebrate the birth of Jesus, senior Israeli rabbis have announced a war on the Christmas tree. In Jerusalem, the rabbinate has issued a letter warning dozens of hotels in the city that it is “forbidden” by Jewish religious law to erect a tree or stage new year’s parties. In the coastal city of Haifa, in northern Israel, the rabbi of Israel’s premier technology university has taken a similarly strict line. Elad Dokow, the Technion’s rabbi, ordered that Jewish students boycott their students’ union, after it installed for the first time a modest Christmas tree. He called the tree “idolatry,” warning that it was a “pagan” symbol that violated the kosher status of the building, including its food hall. About a fifth of the Technion’s students belong to Israel’s large Palestinian minority. While most of Israel’s Palestinian citizens are Muslim, there are some 130,000 Christians, most of them living in Galilee. More Palestinian Christians live under occupation in East Jerusalem, which Israel has annexed in violation of international law. Rabea Mahajni, a 24-year-old electrical engineering student, said that placing the tree in the union was backed by Palestinian students but had strongly divided opinion among Jewish students and staff. The majority, he said, were against the decision. “One professor upset [Palestinian] students by taking to Facebook to say that the tree made him uncomfortable, and that those who wanted it should either put one up in their own home or go to Europe,” he told Al Jazeera. He pointed out that Palestinian students had not objected to the students’ union also marking Hanukkah, referring to the Jewish winter “festival of lights” that this year coincides with Christmas. For most of Israel’s history, the festive fir tree was rarely seen outside a handful of communities in Israel with significant Christian populations. But in recent years, the appeal of Christmas celebrations has spread among secular Israeli Jews. Interest took off two decades ago, after one million Russian-speaking Jews immigrated following the fall of the Soviet Union, said David Bogomolny, a spokesman for Hiddush, which lobbies for religious freedom in Israel. Many, he told Al Jazeera, had little connection to Jewish religious practice in their countries of origin, and had adopted local customs instead. Nazareth, which claims to host the tallest Christmas tree in the Middle East, has recently become a magnet for many domestic tourists, including Jews, Christians and Muslims. They come to visit the Christmas market, hear carols and buy a Santa hat. Haifa and Jaffa, which became almost Jewish cities with significant Palestinian Christian populations after the occupation of Palestine in 1948, have recently started competing. Jaffa, next to Tel Aviv, staged its first Christmas market last year. Meanwhile, hotels are keen to erect a tree in their lobbies as a way to boost tourism revenue from Christian pilgrims, who comprise the bulk of overseas visitors. But the growing popularity of Christmas has upset many Orthodox rabbis, who have significant powers over public space. Bogomolny said that some rabbis were driven by a desire to make the state “as Jewish as possible” to avert it losing its identity. Others may fear that the proliferation of Christmas trees could lure Israeli Jews towards Christianity. Wadie Abu Nassar, a spokesman for the Latin Patriarch in Jerusalem, said that he had noticed an increasing interest from Israeli Jews in Christian festivals, including in some cases requests to attend Christmas mass. He told Al Jazeera this was not a threat to Judaism, but healthy curiosity. “If we want to live together in peace, we have to understand each other and learn to trust,” he said. The controversial status of Christmas in Israel was underscored four years ago, when Yair Netanyahu, the 21-year-old son of Israel’s prime minister, caused a minor scandal by being photographed wearing a Santa hat next to a Christmas tree. Two years earlier, Shimon Gapso, the mayor of Upper Nazareth, originally founded for Jews on Nazareth’s land, banned all signs of Christmas in the city’s public places. He has been a vociferous opponent of an influx of Christians from overcrowded Nazareth. The Israeli parliament, the Knesset, has also been declared a Christmas tree-free zone. 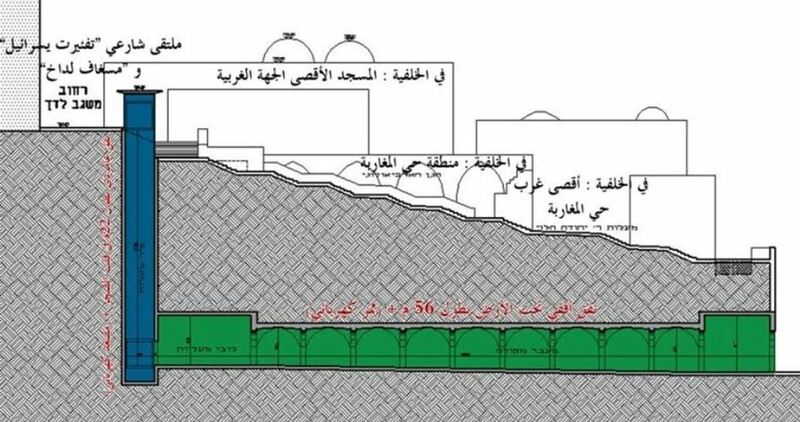 In 2013, its speaker rejected a request from Hanna Swaid, then a Palestinian Christian legislator, to erect a tree in the building. Yuli Edelstein said it would evoke “painful memories” of Jewish persecution in Europe and chip away at the state’s Jewish character. Swaid pointed to the prominence of Jewish symbols in public spaces in the United States, including an annual Hanukkah party at the White House, during which the president lights menorah candles. “Israeli leaders expect the US to be religiously inclusive, but then they refuse to practise the same at home,” he told Al Jazeera. He also noted that the religious freedoms of the Palestinian minority were under ever greater attack, most notably with the recent drafting of a so-called “muezzin bill,” which would crack down on mosques’ use of loudspeakers for the call to prayer. Nonetheless, there has been a backlash, especially from secular Jews, against the rigid control exercised by Orthodox rabbis. Haifa’s mayor, Yona Yahav, overruled the city’s rabbi in 2012 when he tried to ban Christmas trees and new year’s parties. The Jewish new year occurs several months before the Christian one. And, last year, in the face of a legal challenge from Hiddush, the chief rabbinate backed down on threats to revoke the kosher certificates of businesses that celebrate Christmas. But while the ban on Christmas trees has been formally lifted, in practice it is still widely enforced, according to Bogomolny. “The problem is that the chief rabbinate actually has no authority over city rabbis, who can disregard its rulings, as we have seen with the letter issued by the Jerusalem rabbis,” he said. Most hotels wanted to ignore the prohibition on Christmas trees because it was bad for business, but feared being punished. One hotel manager in West Jerusalem to whom Al Jazeera spoke on condition of anonymity said he feared “retaliation” from the rabbis. The Israeli war minister Avigdor Lieberman on Sunday gave instructions to cease all political and civil ties with the Palestinian Authority (PA), except for security coordination. 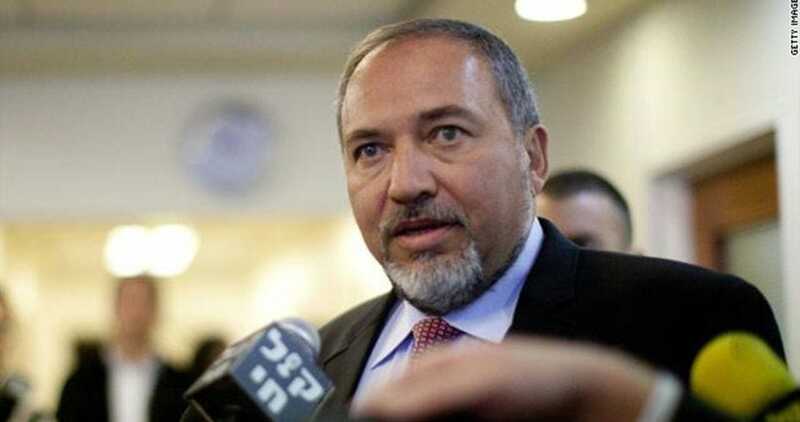 According to the Yedioth Aharonot newspaper, Lieberman instructed the general coordinator of the government activities in the occupied Palestinian territories Yoav Mordechai to immediately halt all meetings and contacts with the Palestinian Authority (PA), chaired by Mahmoud Abbas, with the exception of security coordination. Lieberman’s orders were released in response to the anti-settlement bid approved at the United Nations Security Council (UNSC). 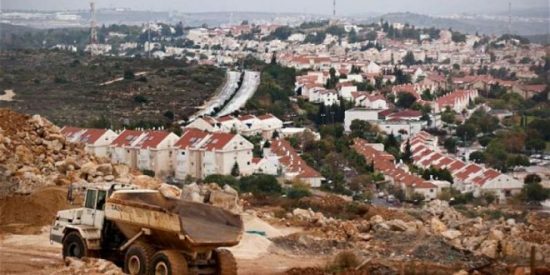 The UNSC voted on Friday to adopt a resolution condemning Israeli settlement activity as illegal, and demanding that Israel "immediately and completely cease all settlement activities in the 'occupied' Palestinian territory, including east Jerusalem". Fourteen out of the 15 voting members of the Council voted in favor of the resolution, none voted against it, and the United States chose to abstain. The Israeli Prime Minister Benjamin Netanyahu instructed on Saturday the Foreign Ministry to complete a re-evaluation of all contacts with the United Nations, including the Israeli funding of U.N. institutions and the presence of U.N. representatives in Israel. Israel will re-assess its ties with the United Nations following the adoption by the Security Council of a resolution demanding an end to Israeli settlement building, Netanyahu threatened. Netanyahu made his comments following Friday's UN Security Council vote in favor of a resolution condemning Israel’s illegal settlement activity across the occupied Palestinian territories. The decision was "shameful," the Prime Minister repeated multiple times. "The Security Council decision calls Israeli land occupied and that is just shameful, the decision calls the Western Wall occupied land, it is shameful," Netanyahu further claimed. Speaking of US President Barack Obama's choice to abstain from voting, Netanyahu said that the Obama administration went against Israel, backing out of the commitment it had made to stand for Israel. "The decision not only does not help us make peace, it stands in the way of peace," stated Netanyahu. Israel will not accept the decision and it will be cancelled, he warned, threatening to cease funding UN institutions. Netanyahu has also instructed Israel's ambassadors in New Zealand and Senegal to return to Israel for consultations, his spokesman said on Friday, in response to the UN resolution on settlements. The United Nations Security Council voted on Friday to adopt a resolution condemning Israeli settlement activity as illegal, and demanding that Israel "immediately and completely cease all settlement activities in the occupied Palestinian territory, including east Jerusalem". Fourteen out of the 15 voting members of the Council voted in favor of the resolution, none voted against it, and the United States chose to abstain and did not cast its veto on the initiative. A planned visit to Israel by the Swedish Foreign Minister Margot Wallström has been cancelled, as no Israeli official was prepared to receive her over her pro-Palestine position. Speaking with reporters in the Swedish metropolitan city of Stockholm, Wallstrom said the Palestinians have been grappling with the Israeli occupation of their land for 50 years while Gaza has been blockaded for nearly a decade. She added that the Oslo Accord failed to restore peace in the occupied territories. “We look out for long-term solutions to the Palestinian-Israeli conflict,” she stated. 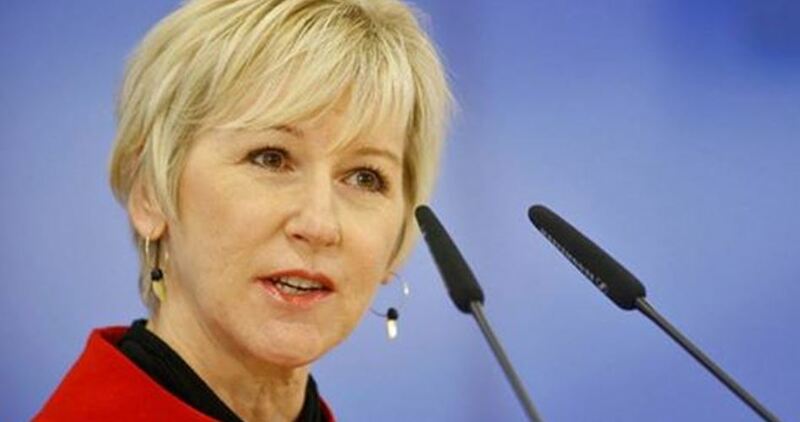 Sweden's Foreign Minister Margot Wallström had planned to visit Israel this Thursday. The Israeli Prime Minister Benjamin Netanyahu, however, refused to meet her. Israeli officials claimed the move is due to scheduling conflicts, but informed sources attributed the snub to Sweden’s pro-Palestine position. A Foreign Ministry official told Haaretz that while Wallstrom had reached out to try and arrange meetings with Prime Minister Benjamin Netanyahu and other ministers, she had been informed that these would not be possible due to schedule considerations. The 61-year-old Social Democrat has repeatedly enraged Israel, starting with Sweden’s recognition of a Palestinian state shortly after she became foreign minister in October 2014. In December of last year, she called on Israel to halt what she called “extrajudicial executions” against anti-occupation knife-wielding Palestinians, following up with a demand for “thorough” investigations into the killing of Palestinians by the Israeli occupation army.